I have both kindom hearts and kingdom hearts 2 since playing kingdom hearts however, every time i try to load kindom hearts 2 kindom hearts loads instead I have tried switching the pluins and everything. 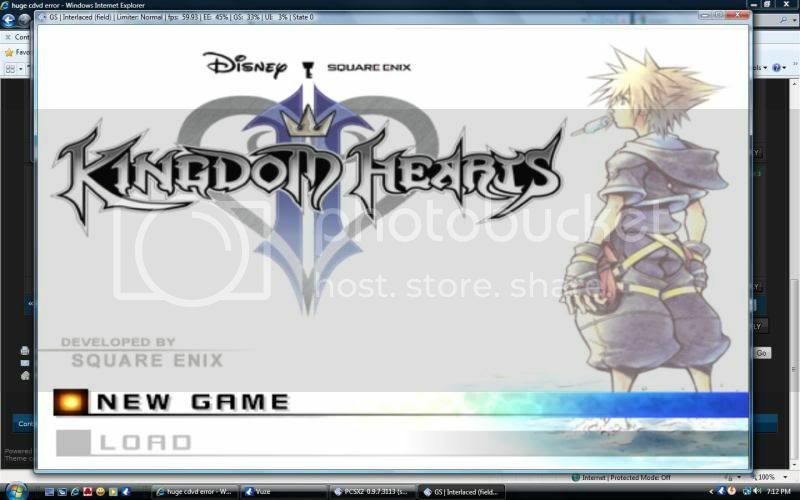 Now I cannot play kingdom hearts 2 at all. This is a huge problem!! i am currently using cdvd giagherts on a 9.7 install i even uninstall reinstalled same thing. dont mount the images, unmount them close the program and then select the iso with linuz iso and it will load your kh2 iso. no need to be sorry maybe you got kinda confused, you loaded kh2 fine! Current time: 04-19-2019, 08:59 AM Powered By MyBB, © 2002-2019 MyBB Group.